Eloise joins our extension team! Eloise grew up in the Biloela region before relocating to Brisbane for high school. Upon graduation, the north called! She completed several seasons with Stanbroke Pastoral Company, a contract mustering crew working throughout Queensland and Western Australia, and has also worked in central Queensland. 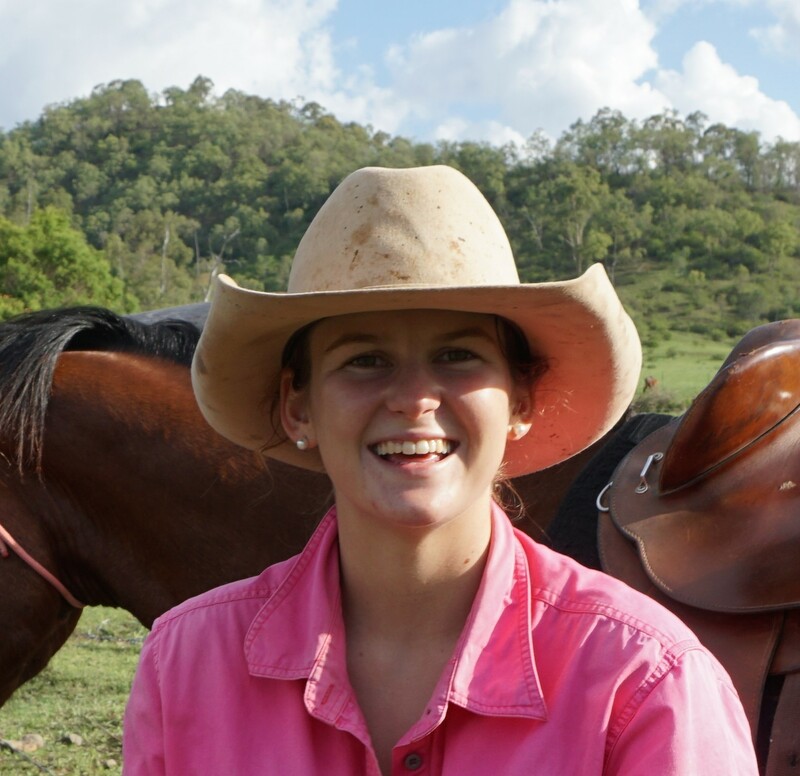 Eloise graduated with a Bachelor of Agribusiness from the University of Queensland in 2017 and managed a private feedlot in central Queensland while completing her final year externally. Having worked throughout the supply chain and seeing different management strategies, Eloise is very interested in improving management practices to increase productivity and sustainability. She is looking forward to using her practical and theoretical knowledge to help producers while continuing to build her own knowledge. Eloise is based at the Department of Agriculture and Fisheries office in Biloela.